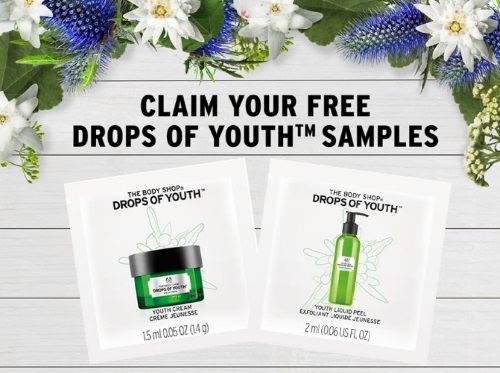 Have you heard about The Body Shop's new Drops of Youth Youth Liquid Peel? Claim your Free sample at the link below and get a complimentary Drops of Youth Youth Cream sample to leave your skin feeling ultra cleansed and looking more youthful! Click on "claim now" at the link below and enter your email address, you will be emailed a voucher to use in-store to get your samples. Coupons are only redeemable in-store while supplies last. Last day to redeem is July 2, 2017.